On Friday, Oct. 10, the Denver Post Newsroom and Non-newsroom bargaining committees met together with management. Management began the meeting by rejecting the union’s proposal to extend the current contract unchanged for one year. Management countered with a one-year extension on all provisions of the contract except the International Pension Fund, proposing to withdraw from the plan. Management dropped the demand for the right to outsource finance and home delivery work from their latest proposal. The union committees caucused and presented a counter-offer to management. The union offer addressed what management had identified as the problem with the international pension plan: the increasing withdrawal liability. The union proposed to reduce contribution amounts required in the non-newsroom contract to the much lower amount set forth in the newsroom contract, reducing annual contributions from more than $600,000 a year to less than $150,000 annually. Over time, the reduced contribution amounts would significantly reduce The Post’s withdrawal liability. The union’s proposal reallocated the $450,000 saved in pension contributions to wages, providing weekly increases of $16 to $34 per week for each employee. The proposal still included other items previously proposed including a 2 percent raise in 2016 and language assuring that employees claim and are paid for all hours worked. Management rejected the union’s proposal, explaining they had a mandate to get out of the pension plan. When asked about the concept of moving money cut from pension contributions to wages, management said no, not interested. The union committee argued that for decades, the unions at The Post have cooperated with the company, agreeing to difficult cuts when the paper was losing millions. And during profitable years, the company reciprocated with restoration of those cuts and reasonable economic improvements in our contracts. 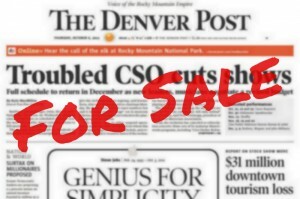 Now The Post is profitable but is still demanding economic concessions from its employees. We’ve given enough — what are we going to do about it? The next bargaining session is scheduled for Nov. 21.